All images with permission from Mapin Publishing and the Alkazi Collection of Photography. Before the popularity of the telephone or telegram, and eons before the internet was conceived, there was the picture postcard. A constant presence in the subcontinent since the 19th century, it was as ubiquitous as text messages are in our time. 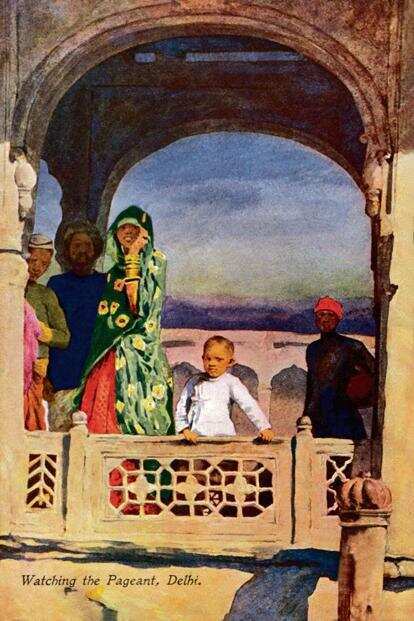 As historian Omar Khan observes in his latest study, Paper Jewels: Postcards From The Raj, the postcard was referred to as the “infesting modern microbe" by an early commentator—and with good reason. First printed in Germany and Austria, postcards changed hands at a furious pace between 1898 and 1903. Billions were sent all over the world—it became what a later-day historian would call the “poor man’s phantasm". Beyond its function as a purveyor of news, the postcard was a convenient medium to convey visual impressions. Collected from the cities of Calcutta (Kolkata), Benares (Varanasi), Bombay (Mumbai), Delhi, Lahore, Karachi, Jeypore (Jaipur), Madras (Chennai) and the state of Jammu and Kashmir, the postcards included in this book tell political, economic, social and anthropological stories from the Raj era. Nautch girls, snake charmers, a view of “Native Street" in Bombay, portraits of celebrities like J.R.D. Tata—these documents present slices of the past that are usually relegated to the footnotes. Quaint professionals (like the punkhawallas, who operated hand-pulled fans), advertisements (for Singer sewing machine), and atrocities (images of rioters shot dead in the North-West Frontier Province) are part of this rich visual archive, rivalling eloquently written historical accounts. Khan weaves in anecdotes with the images, which are laid out generously, their details heightened by the superb production quality. First Bridge, Srinagar. Mahatta & Co.
# C 14, Srinagar, 1905. Jammu & Kashmir, one of India’s most photogenic states, has drawn generations of photographers like flies to nectar. This early impression of a scene from the capital city, reproduced in coloured collotype, is a unique specimen for the rare misaligned colour printing at the right horizontal edge of the image. Miss Gohur, Prima Donna, Unknown Publisher, c. 1910. Gohar Jan (1873-1930), legendary for her singing during her lifetime, is still revered by connoisseurs of Hindustani classical music. In spite of her tragic end as an unhappy court musician in Mysore, the splendour of her celebrity is captured by this image, which is a coloured collotype. How We Make Love in the East, G.E. McCulloch [signed], Moorli Dhur & Sons (Strengel No. 1644 verso), Ambala, c. 1908. A tongue-in-cheek coloured halftone depiction of a scene of seduction, this postcard was sent with the remark on the verso, “Ask Winter what this means. I’m no scholar". Too hot to write this week, the sun has dried up all the ink. Moorli Dhur & Sons, Ambala, c. 1908. Life in India under the Raj, especially for colonial rulers from cooler climes, could be exacting, least of all due to the infernally humid, subtropical weather. 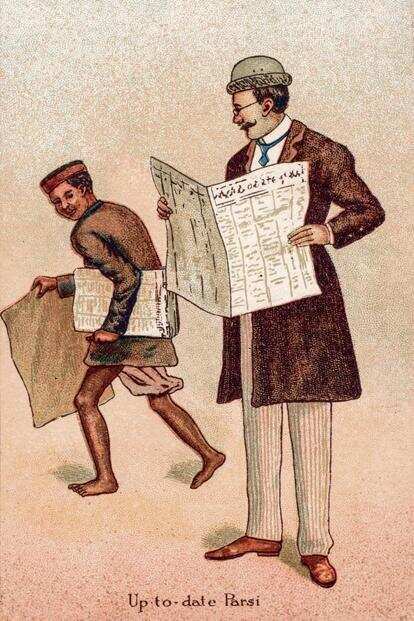 This postcard, reproduced in coloured halftone, captures one of the abiding complaints of the time, a sentiment that still rings true for visitors to India. Watching the Pageant. Mortimer Menpes [signed], Raphael Tuck & Sons #9967, London, c. 1908. On the verso of this card there is a telling comment on the status of women in early 20th century India. “At Delhi those native women, who are not deterred from viewing the spectacle (of the pageant) by caste or religious restrictions, are in this instance perhaps the most fortunate." Birth of Shakuntala. The Ravi Varma Press Karla Series No. #829, c. 1905. Rendered by the legendary painter Raja Ravi Verma and printed by the press established by him, this image revives a moment from the epics. Sage Vishwamitra is avoiding Menaka, who is holding the child she has begotten of him. The baby would grow up to be Shakuntala, whose love story is immortalized by Kalidasa. 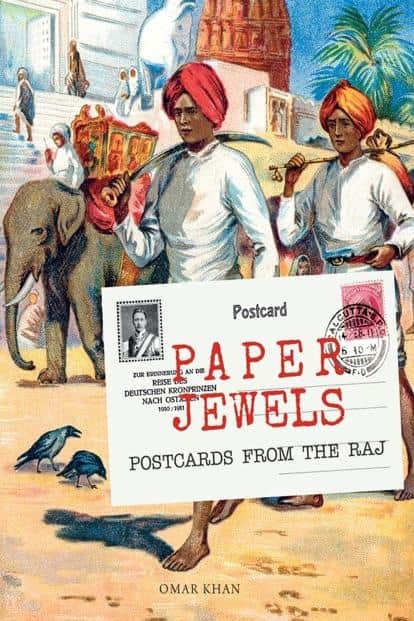 Paper Jewels—Postcards From The Raj, By Omar Khan,Mapin Publishing in association with Alkazi Collection of Photography, 356 pages, ₹3,500.